2000 was a third successive extended growing season and another late harvest, in which the fruit benefited from lengthy hang-times allowing steady yet full flavor maturity with balanced natural acids & manageable sugar/alcohol levels. Crop levels were up after the low-yielding 1999 harvest, which required fruit thinning to achieve our strict yield/fruit concentration goals. Harvest wrapped up as the first late fall rains approached, ensuring healthy fruit and allowing us to work with high quality lees in barrel to build palate texture. 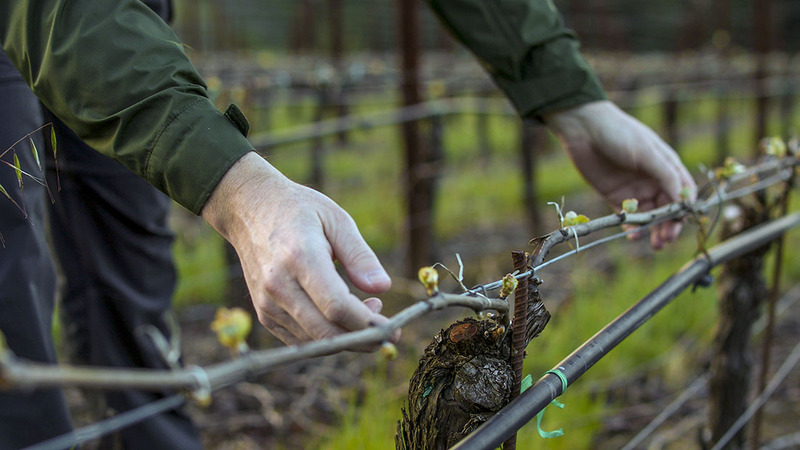 In 2000 we sourced fruit from six varied & complementary vineyard sites to highlight the wonderful nature of Russian River Valley Chardonnay. Our two steep hillside sites offered intense minerality & vibrant structure; three ridgetop sites contributed classical honeyed citrus flavors and texture; and a single valley floor site gave us wonderful richness & mid-palate weight. With these diverse sources we were able to build a blend that showcases the best of our chosen region. In the Cellar, our commitment to lengthy barrel aging on the lees then served to integrate all parts of vineyard & barrel derived flavors to create a wine of concentration & power that does not sacrifice elegance or balance. Signature aromatics of intense honeysuckle, baked apple and sweet lime with a focused mineral edge and secondary aromas of barrel spice and just a trace of fresh mint. These aromas carry through to the palate which at once is steely in its minerality, then develops honeyed richness with concentrated flavors of ripe pear, intense citrus and buttered toast, complimented by subtle nutmeg and creme brulee notes and a multi-textured mid-palate. The racy acidity serves to offset this richness, providing length and persistence and creating the elegance which we seek. Bottled unfined and unfiltered, the wine is approachable early and will drink well in its first year. Previous vintages have shown that even greater complexity develops with 2 to 5 years in bottle as aromas and flavors concentrate further still to produce great medium-term drinking.